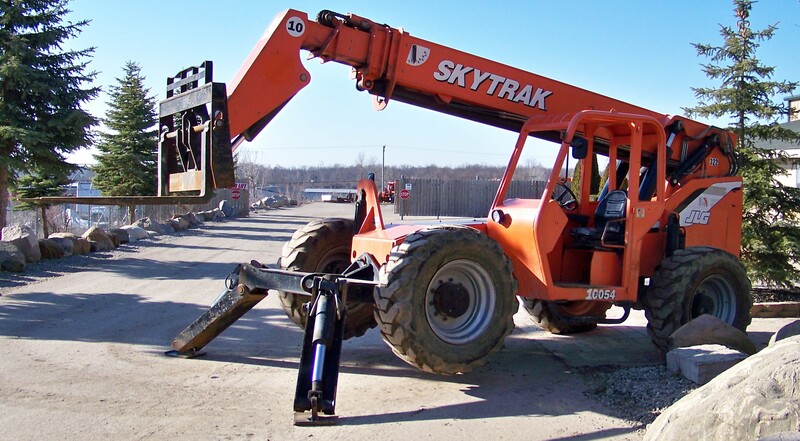 SkyTrak 10054 - Aero Lift Inc.
With a 10,000-pound capacity and 53-feet lift height, the SkyTrak model 10054 all-wheel steer telehandler will take your productivity higher than ever. Full time 4-wheel drive and 4-wheel steer offer excellent maneuverability over rough terrain while the Stabil-Trak system helps keep the machine stable and you in control. Do you need used SkyTrak parts for your 10054 ? Let us quote you a price. Please contact us. New SkyTrak parts for your 10054 may also be available. Please contact us. Aero Lift has been in the rental business for over 20 years. 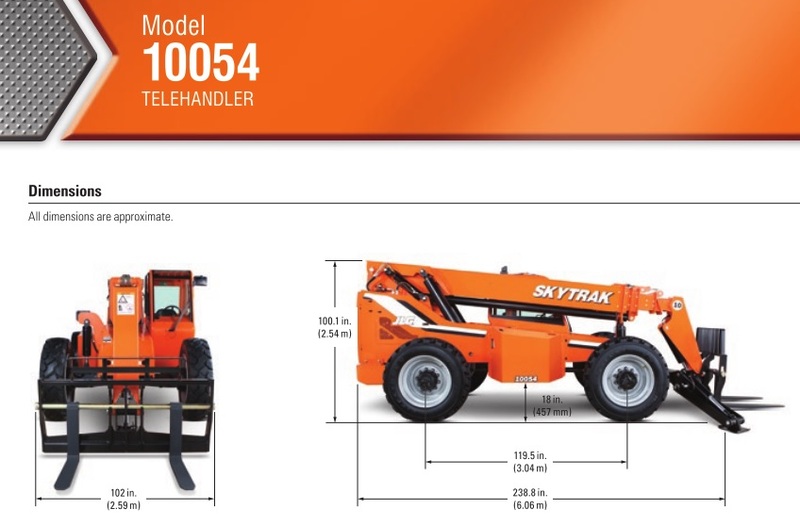 We provide SkyTrak® brand forklifts for various material handling tasks. Competitive pricing and quick response are benefits our customers receive daily. Our clients enjoy dealing direct with friendly, experienced and committed personnel. 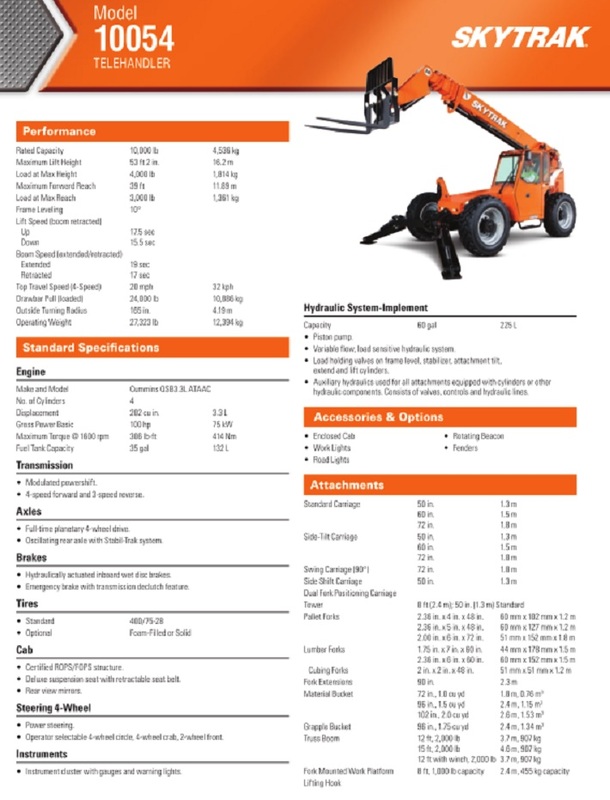 *Aero Lift Inc. is not an authorized JLG dealer and is not affiliated or endorsed by JLG Industries Inc. JLG is the owner of federal registrations of the trademarks JLG, SKYTRAK and LULL.